Quest, 1073, Rajabhau Desai Marg. Behind Beau Monde Towers, Prabhadevi, Mumbai - 400025, Maharastra, India. 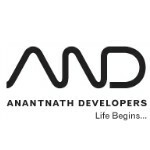 Followed their undying passion, two visionaries, Mr. Hemant Chheda and Mr. Hemang Dharamshi, arose with a brand new venture in the real estate industry, named AND (AnantNath Developers). Building aspiring lifestyles for the lower middle and salaried class, providing them an abundant space of happiness and ease at an affordable price, is what AND aims for. Luxury is an aspect we don't wish to compromise on and therefore all our projects have been embellished to suit each of our customer’s need for extravagance and a superior lifestyle. We have added the urge of getting more and giving more in our organizational values and as a lifestyle maker, AND promises to provide more value, more excellence, more life and more quality in every pace of our business.